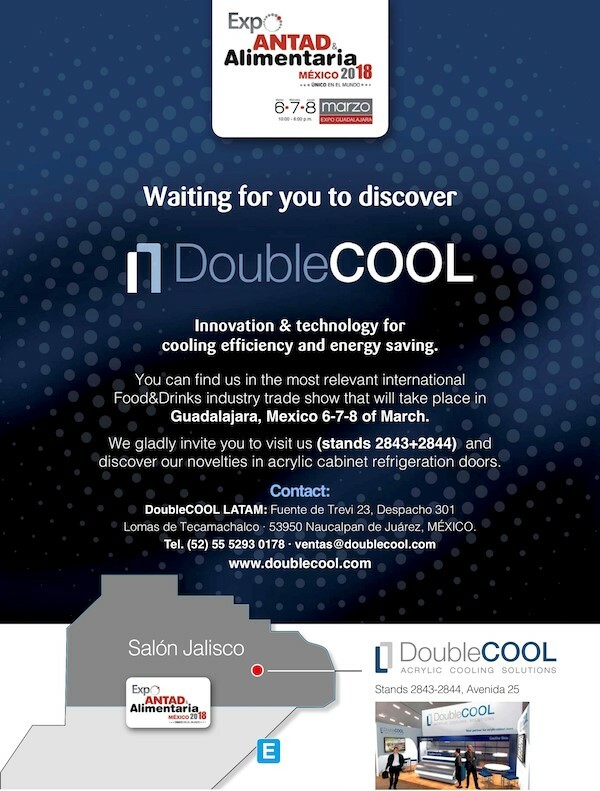 From the 6th until the 8th of March 2018, DoubleCOOL LATAM will participate at the Expo ANTAD & Alimentaria Mexico 2018. This expo is the most relevant International Food & Drinks trade show in Mexico (Guadalajara), the gateway to the American Continent. Every year, this expo welcomes around 55.000 international professional visitors from the Food and Drinks industry, 2200 exhibitors from 32 countries all over the world. DoubleCOOL will present her acrylic cooling door systems in cooperation with our partner Nebusystem.